Vishal decides to take revenge on villain who kills his brother. Coincidentally his father also tries for the same. But both of them don’t know this mutually .The rest is how kills the villain. You can watch the film only for performances. 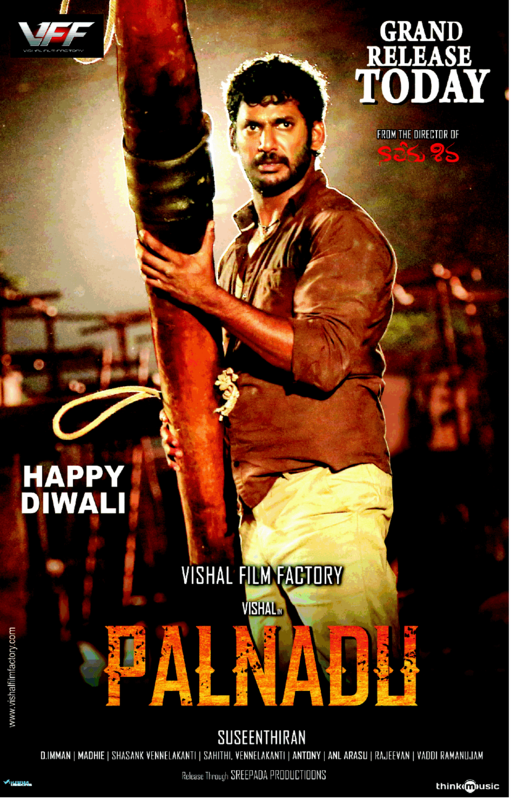 Vishal is at his best int his movie. Soori’s comic timing is very good. Lakshmi Menon is as usual. Barathi raja has justified his emotional father role. Rest of the cast is okay. Sussetharan’s direction mark will be seen very often in the movie. heroine introduction scene and a song after it, villains chasing Vishal scenes in 2nd half etc. He has done his best in direction department. But Screenplay takes time to settle, whichh is the main problem for the movie. Music is ok. BGM is good especially in sentiment scenes. Dialogues are good. Productions values are satisfied. 1st half is good with nice comedy between Vishal – Soori and a romantic track between Vishal and Laksmi Menon. 2nd half starts on a slow note and picks up at the climax. But it is in’t interesting or something new. You can give a try.